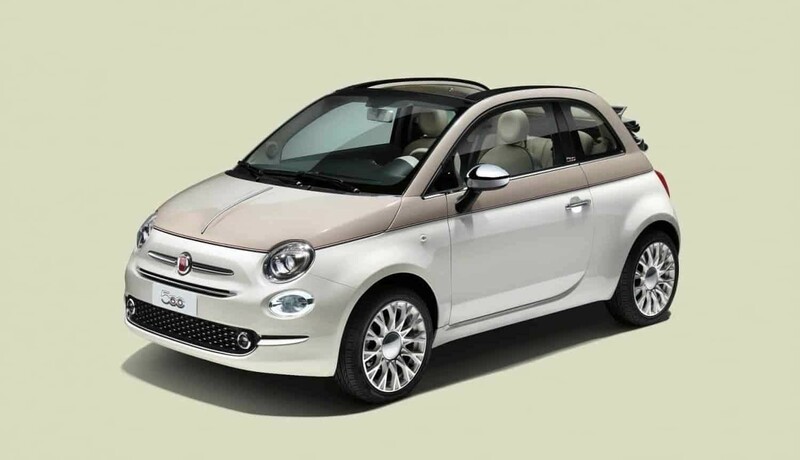 News > Fiat 500 60th Anniversary Edition is Here! 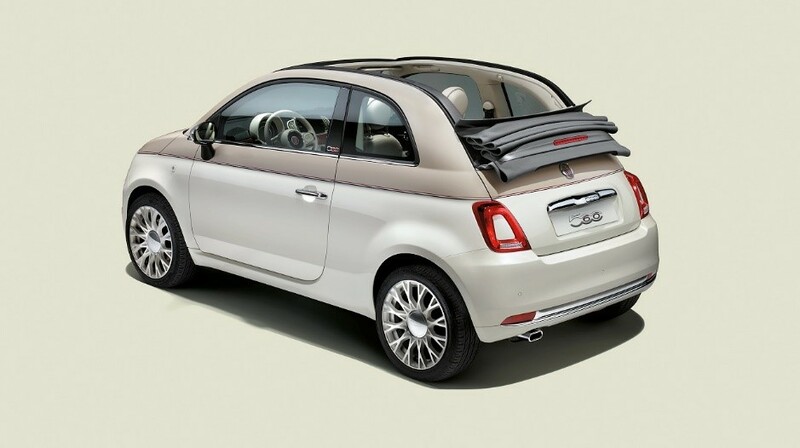 To celebrate the launch of the of the original Fiat 500 60 years ago Fiat launches the 500 60th Anniversary edition. 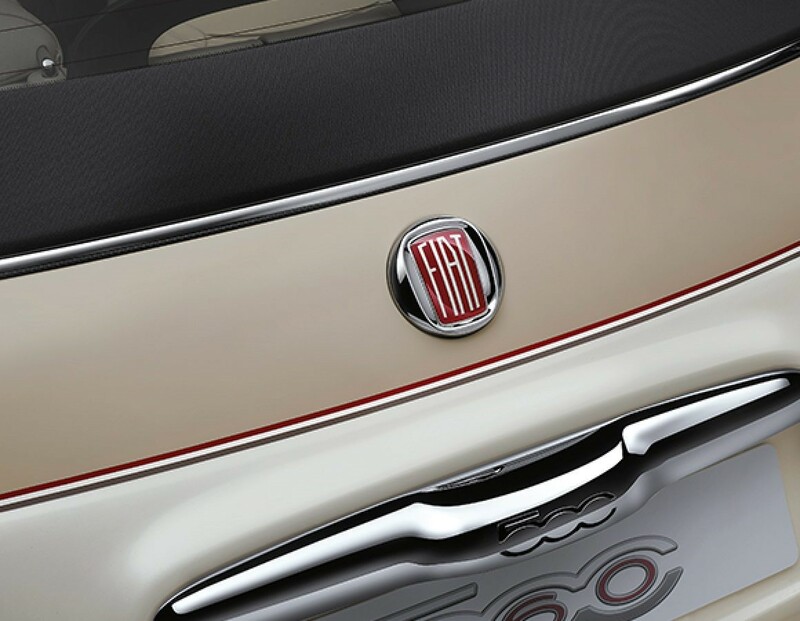 Based on the new 2017 Fiat 500 Twinair Lounge model this new special edition takes some inspiration from the luxury Riva edition that we saw earlier this year, adding some unique touches and more luxury features to create a really special Fiat 500 that will turn heads. Starting off with a distinctive two-tone paint job of pearl white and champagne separated by a red and grey pinstripe running the length of the vehicle. Fiat then added unique diamond cut mag wheels along with classic Fiat badges and a unique “500” B-Pillar badge that incorporates the 60-year logo into it to signify this special edition. Moving inside one is immediately struck by the sumptuous cream leather interior finished off with burgundy red piping. 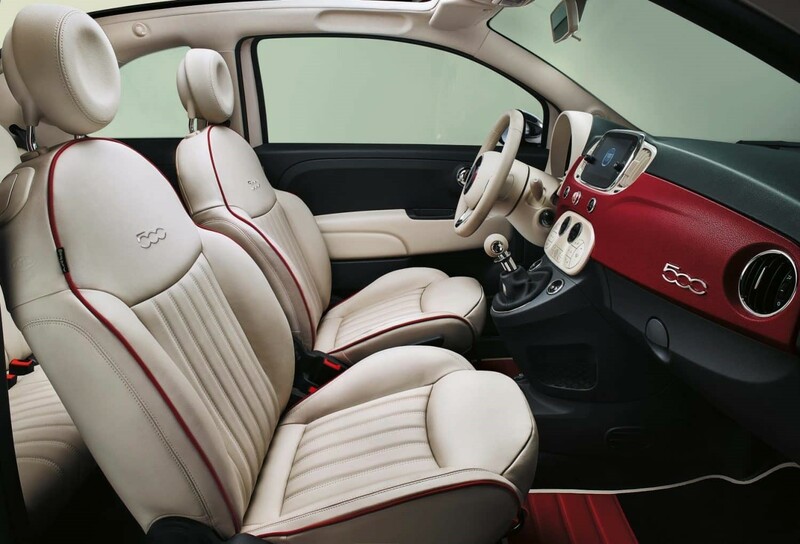 The cream and red theme continues with a light coloured steering wheel and climate control surround then contrasted by a unique to this model red vinyl dashboard which would normally match the colour on a standard Fiat 500. As these models are based on the Lounge spec they come fully equipped with a touchscreen navigation radio, Bluetooth, xenon lights, cruise control and automatic climate control. All the models coming into SA will be cabriolet spec so you’ll be ready to hit summer in more style than ever before. For more information and to secure your own order contact our sales team at William Simpson Tokai on 087 095 3196.